César Franck: (b Liège, 10 Dec 1822; d Paris, 8 Nov 1890). French composer, teacher and organist of Belgian birth. He was one of the leading figures of French musical life during the second half of the 19th century. Girardi, Paola (Pianist) studied at the “Civica Scuola di Musica” in Milan with Lucia Romanini Marzorati, graduating with honors, in 1978, from the “G. Verdi” Conservatory in Milan at the young age of 17. She won numerous competitions for young artists, among which: The National Young Pianist Competition in Bari and the International Competition in Senigallia. She then completed postgraduate studies with Maria Tipo and Konstantin Bogino, and also studied with Paul Badura-Skoda attending the “O. Respighi” Academy in Assisi and the Chigiana Academy in Siena, where she received a diploma with honors. Pursuing her interest in chamber music, Ms. Girardi has studied with the Tchaikowsky Trio, the Quartetto Academica, the Fine Arts Quartet and the Trio of Trieste. During her career, she has collaborated with renowned musicians such as Maxence Larrieu and Ilya Grubert, of which she has also been pianist for their postgraduate courses in Italy and abroad. Ms. Girardi has also been official pianist, together with Phillip Moll, for James Galway’s International Summer courses held in Weggis (Switzerland) and Dublin from 1990 to 2008. She plays regularly with Raffaele Trevisani, giving concerts in Europe, USA and Japan. She is also her partner in several CDs recorded for Delos International. She’s piano teacher at the “International Academy of Music” of the Foundation of the Civic School of Milan. Trevisani, Raffaele (Flutist) virtuosic technique and brilliant musical personality are consistently praised by the public and critics. 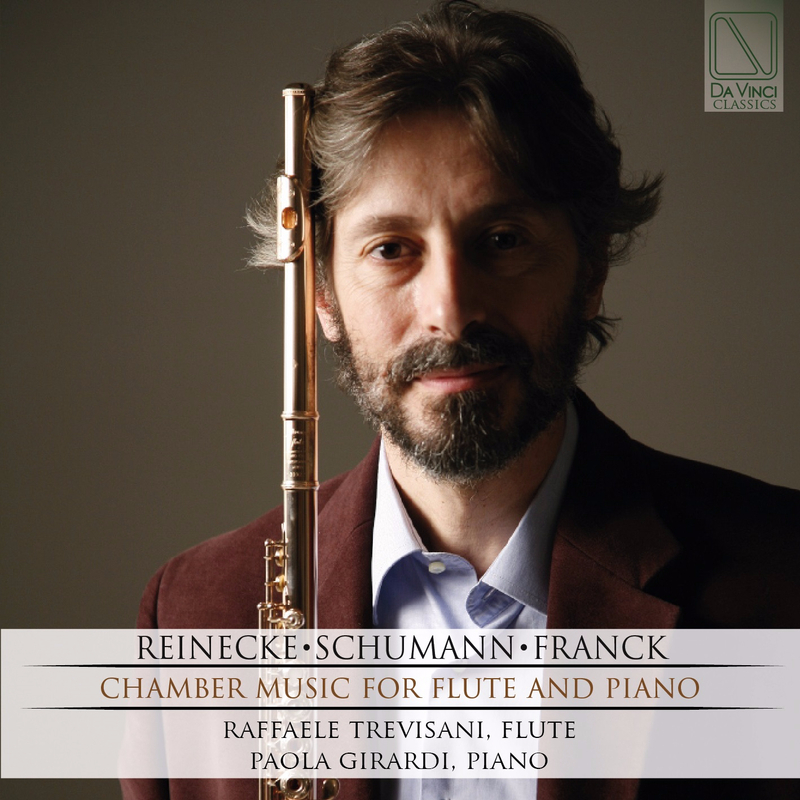 Raffaele Trevisani studied with Sir James Galway who regards him as “…one of the best flutist of the day for his beautiful singing tone, perfect technique and dedication to the art of music..”. He also received unanimous appreciations from Jean Pierre Rampal, Maxence Larrieu and Julius Baker. Long time before receiving his diploma from the G. Verdi Conservatory in Milan, he quickly became the young student of Sir James Galway, studying privately with him. For four years (1984-1988) he collaborated with the Orchestra of Teatro alla Scala in Milan and for the last thirty years, Mr Trevisani has been performing all over the world. Maestro Trevisani began his solo career with I Solisti Veneti, performing in numerous prestigious concert series in Italy and around the world. He has also performed as a soloist with the Orchestra da Camera di Padova e del Veneto, I Pomeriggi Musicali di Milano, I Cameristi della Scala, I Solisti della Scala, Orchestra del Teatro Lirico di Cagliari, Kammerorchester “Arcata” Stuttgart, Bielefelder Philarmoniker and many others. He has played all over the world for the most important musical Societies and Festivals. He performed in many prestigious halls such as Teatro alla Scala di Milano, Wigmore Hall in London, Glenn Gould Studio in Toronto, Bunkakaikan and Suntory Hall in Tokio. He has participated in well-known music festivals such as Settimane Musicali in Stresa, Settembre Musica in Turin, Rheingau Music Festival, Miagi Music Festival and for the celebrations of “Ten years of freedom” in South Africa. He has been invited to play and give master classes in Europe, Japan, USA, South Africa and in the most prestigious flute festivals around the world (Boston, Frankfurt, Detroit, Chicago, Rome, Las Vegas, Milano, New York). He is a Delos recording artist, a worldwide recognized label company for highest achievement in quality recording and has recorded for the Italian RAI, the German SDR, the Japanese NHK, the English BBC, the Russian Television and the Brazilian Television; moreover, Globo Brazilian Television and RAI Corporation Television in New York (for the program “Italiani in America”) have dedicated to him specials with interviews and live concerts. He has been invited to play duo concerts with Maxence Larrieu and with Sir James Galway for the Italian Television. Raffaele Trevisani plays a 14 carat gold Muramatsu flute belonged to Sir James Galway and a 14 carat gold Powell flute.